There has been a lot of discussion following statements made by Jacinda Ardern and others along the lines of ‘this is not us’ in relation to the hate represented by the Christchurch mosque killings. They were strong words suitable for the occasion, but reactions since then have proven that diversity, kindness, compassion are not universal here in New Zealand. Hate and division are still running strong from a vocal minority of New Zealanders, some of whom seem to hate the praise heaped on Ardern’s handling of the terrorist attack aftermath, and some of whom have used the attacks to try to promote division. “I, like many, thought that although well-intentioned, this statement is made in ignorance”. “To say that this is not New Zealand is to trivialise the very real racism, Islamophobia and xenophobia that is prevalent in this country. “I know lots of people have seen my image and thought of it as jarring or attacking but that is not the intention”. “I don’t want anyone to feel guilt but I want people to reflect on the reality of racism in this country and accept that it exists, because only then can we get better – rather than ignoring this issue we should address it directly and work to improve as a united people. “I’m glad that so many people are willing to spread this message in time of national grieving”. We can all be racist, tribalist, nationalist. Some more than others. There are extremes. If it takes an extreme example like the Christchurch attacks to prompt us to think about our own attitudes, to rethink them, that is a positive. Some are unlikely to change much if at all, but for most of us individually and collectively we can move in a better direction. Broadly I support what you have written. I was concerned by a Herald Report about the recent Auckland vigil being too political, but apparently one of the organising groups was Auckland Peace Action who are a radical group and whose leading lights include Valerie Morse. I find it somewhat ironic that after Golriz Ghahrama’s reasonable speech in Parliament the other day, that Greens co-leader has been to many a rather divisive element at this time of grief and reflection. The usual suspects with axes to grind hitching a ride for publicity. 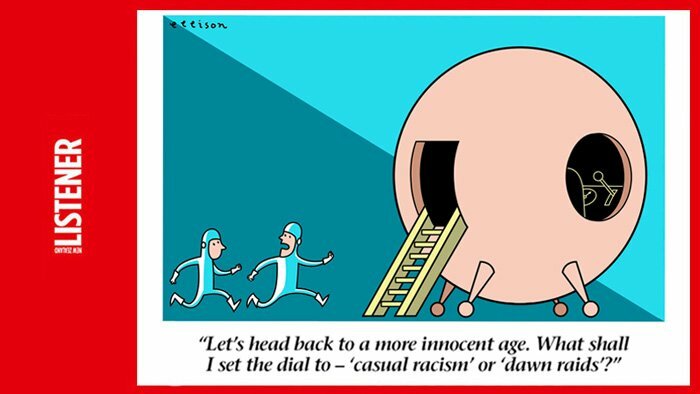 Racism is in the eye of the beholder, it is a matter of personal opinion. People share their personal opinion with their ilk, sometimes in secret. So who really knows how racist we are or even if we are. I don’t like or dislike a certain race I just like or dislike individuals. Me too, Possum. Works best for a good life. When Hone is reeled in then maybe everyone else can wind it back. Tired of the whole its racist because I’m a minority rhetoric. Flows in every direction and when your different it can be confronting fir the majority. I judge people on who they are and what they do… colour, gender etc dont matter. Hone is clearly what he says he us… anti white. Abd I do like how the act of a nutter acting alone is every white persons problem….but the inverse is never the case… just look at the actions of groups over represented in child abuse stats… its racist to say what are you doing whanau….